Certified financial planner (CFP) and certified exit planning analyst (CEPA) Karen Carlin initially joined UBS Financial Services in Boston, Massachusetts, as a financial planner nearly 25 years ago. In 2008 she stepped away from her role at UBS to join Credit Suisse, also in Boston, Massachusetts, as a financial planner. She spent more than seven years with Credit Suisse before returning to UBS in 2015. In her current role at UBS, Karen Carlin engages with high net worth families and business executives on important financial issues, including but not limited to retirement and estate planning, education funding, and general risk analysis. 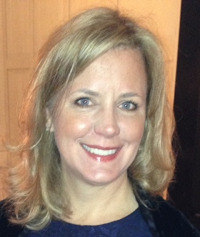 Ms. Carlin studied finance at Boston University, graduating with a bachelor of science in 1991. Over the course of her career in the financial industry she has established herself as a member of several important organizations, including the Financial Planning Institute and the Exit Planning Institute. Beyond her professional activities, she enjoys staying physically active by hiking and scuba diving.